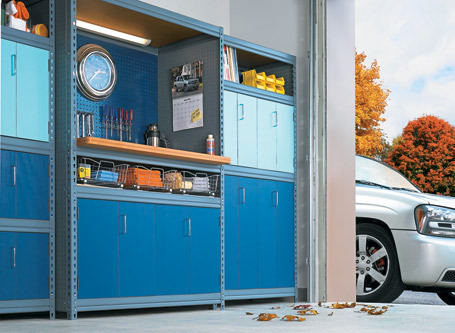 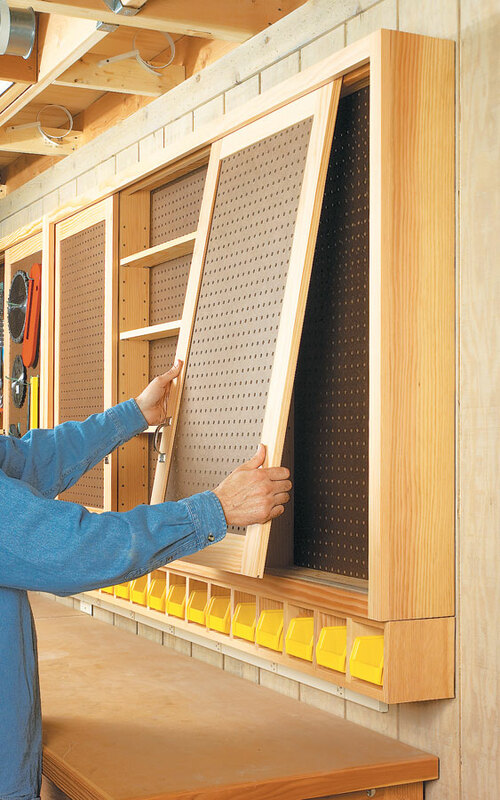 This pegboard storage project is a little different. 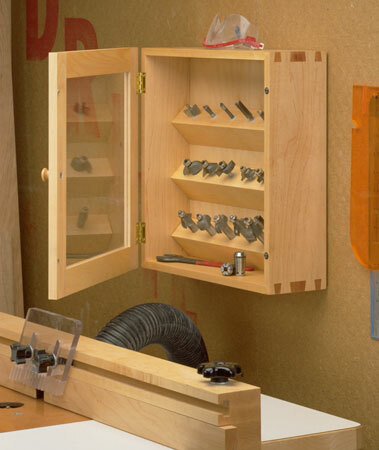 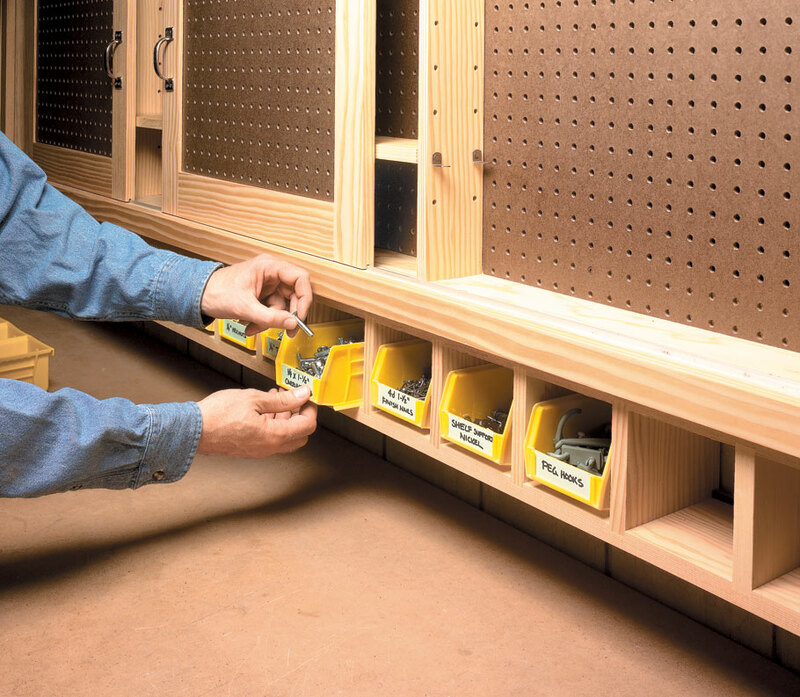 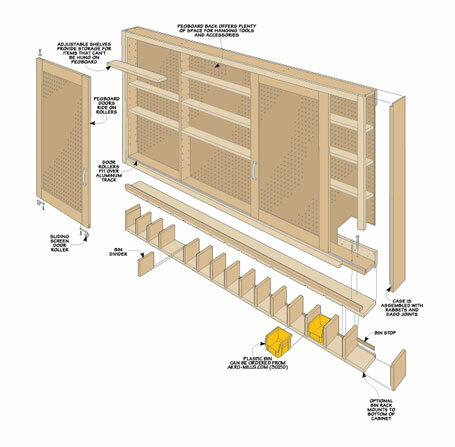 Instead of just a flat pegboard panel mounted to the wall, this project is a shallow cabinet. 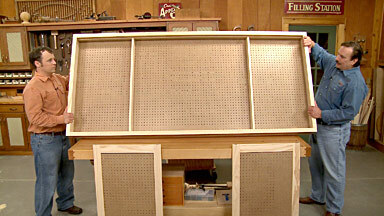 The back of the cabinet is pegboard for hanging tools. 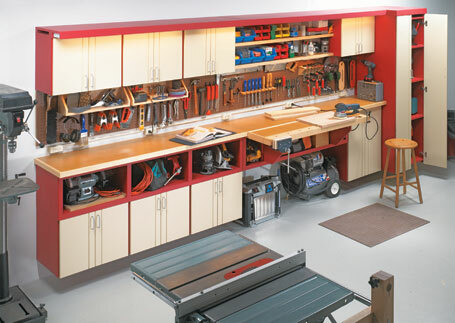 But in front are shelves and a couple of sliding pegboard doors. 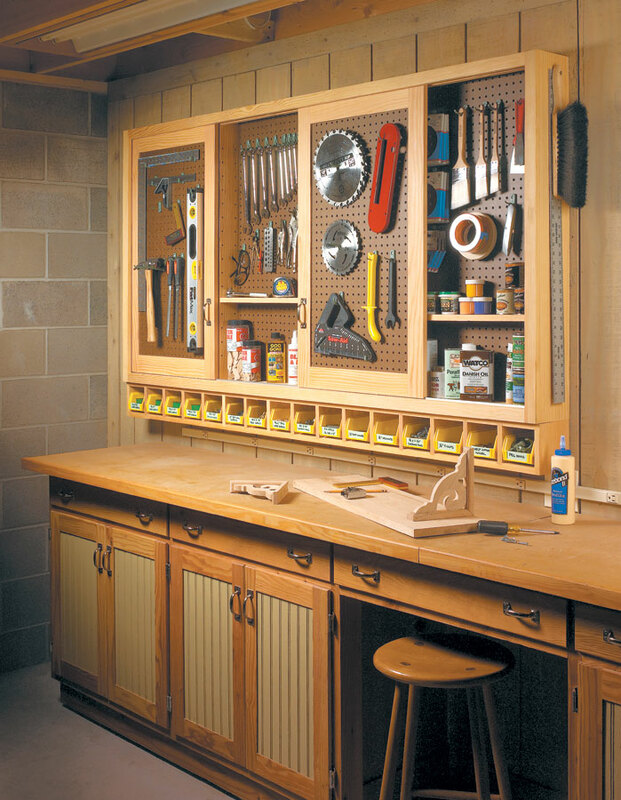 So you end up with nearly double the amount of storage area without taking up any additional wall space.